Seemannia has been resurrected from four former Gloxinia species: S. gymnostoma, S. nemanthodes, S. purpurascens and S. sylvatica. Seemannia was recognized as a valid genus from the 1890s, until it was synonymized under Gloxinia in the 1970s. 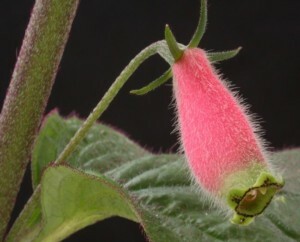 There is no doubt that Seemannia and Gloxinia are close relatives, but the two groups are different in many ways, so botanists have chosen to treat them as two closely related, but well-defined separate genera. It is an almost exclusively Andean genus with the greatest concentration of species in Bolivia, northern Argentina and southern Peru. Flowers are often red or pink, and the genus is in wide cultivation.